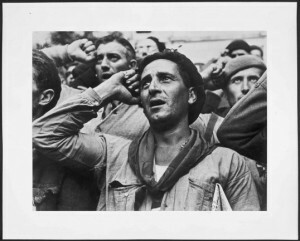 Famous photograph by Robert Capa of a volunteer at Les Masies, near Tarragona in October 1938, at one of the farewell events of the International Brigades. I don’t know what heroism is but it’s on this face. Historical investigation of the place here. 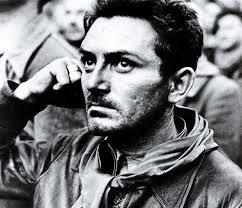 Another photograph in the same series by Capa. This time an Italian volunteer – he has a Italian newspaper under his left arm. This entry was posted in Catalonia in the Spanish Civil War, International Brigades, International volunteers in the Spanish Civil War, Photographers. Cost: 20/euros/3.5 hour tour. 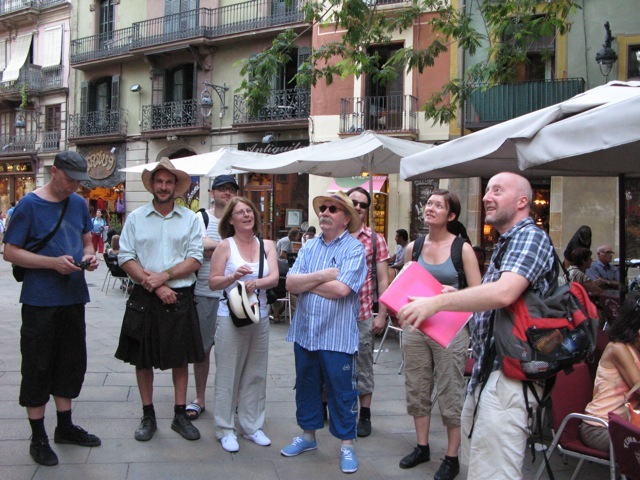 Tours every Monday, Tuesday, Friday and Saturday 10.00-13.00.